As someone who’s absolutely thrilled about creating a web design using WordPress, there’s a good news for you. WordPress comes equipped with a wide collection of interactive theme that can add that much-needed tint of elegance to your WP site/blog. Moreover, the best part is that you can easily perform some simple tweaks to these themes for making them suit your preferences in the best manner. You can go ahead with modifying the look and feel of your site’s layout by making changes to the theme’s CSS file(also known as style.css). While your entire journey of working on CSS file might be filled with lots of creativity, there are situations when you might end up making mistakes. This post has been written to make you familiar with 8 such mistakes that are commonly committed by WP users who’re intending to moderate their theme for an enhanced visual appearance and overall functionality. So, let’s get started! In the above format, the braces, colon and semi-colon must not be skipped. Thanks to CSS Validators which catch up all the minute details that you tend to forget about moderating the CSS stylesheet. There are situations when even after putting in your best efforts into creating a brilliant design, the same fails to work in the desired manner. This is a CSS issue which arises out of placing the selector in a wrong selector. For example, placing the design in “#content” instead of “#content-text” would affect the layout negatively. An easy solution to this problem is cutting and pasting the design in the correct tag. After having placed the design in the appropriate tag, don’t forget to delete the design that has been placed into the wrong selector. There are times when WordPress developers might perform modifications in comments.php file instead of comments-pop-up.php file. Hence, it is recommended to double-check the template that you’re supposed to be working on. This is mandatory for eliminating any chances of messing up the entire WordPress theme customization project. There’s no need for getting into hassles for styling the blackquote element. All you need to do is simply add certain margins and opt for a non-regular font for adding weightage to the visual appeal of your theme. By using an attractive image for your background, it becomes convenient to take your site/blog to new heights of excellence. As a designer struggling hard to meet the project deadlines, you might have definitely made some or the other spelling mistakes. 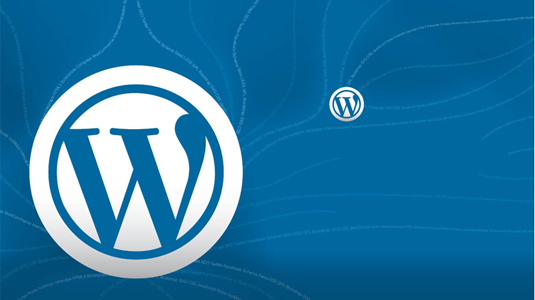 This is something which is a common component of WordPress theme moderation projects as well. For example, writing 35ps instead of 35px for setting the margin in CSS will make things bad for your layout. It’s quite common to overlook such missed spellings, but thanks to CSS validators, you can stay updated about any bugs cropped in due to missed spellings. Under a scenario wherein you’re interested in overriding the new CSS style sheet on the original stylesheet, CSS might find it quite challenging to detect the selector via single reference. Therefore, it is recommended to use multiple references for every single selector that you use for customizing your WordPress theme. WordPress users often tend to assign same information to more than one reference. This makes it difficult for CSS to determine as to which reference it should use, which results in errors. Such a CSS issue is encountered every time you’re trying to utilize the original CSS stylesheet instead of the new one. Layout appears differently, when viewed via different browsers. The extra effects included within the WordPress theme don’t look similar and often disappear for a specific set of browsers. So those were the 8 common mistakes which are being made every WordPress user who’s performing the task of tweaking the CSS stylesheet for his/her website/blog. Stay alert about these mistakes and you’ll be able to shape up your WP theme in the desired manner. Jack Calder is a prominent web developer in Markupcloud Ltd, A leading psd to html service company. Jack also shares particular knowledge of any technological topic on the web.